According to police, the alleged thief then used the victim’s credit cards on the same date at a nearby Target, Marshalls and Ultra. On March 28, Evesham Police say the pictured subject allegedly stole a victim’s wallet from her purse while she was dining at Panera Bread, located at 500 S. Route 73 in Marlton. According to police, the woman then used the victim’s credit cards on the same date at a nearby Target, Marshalls and Ultra. 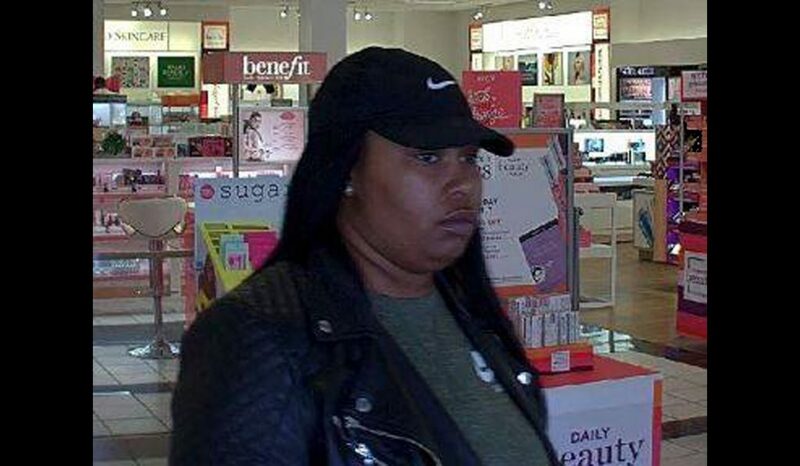 If anyone knows the identity of this woman, they are asked to contact the ETPD at (856) 983-1116, the Confidential Tip Line at (856) 983-4699 or email the department at Facebook@Eveshampd.org. Anonymous tips can text ETPDTIP to 847411. • A woman who drapes her purse on the back of a chair or on the floor beside of her. • A woman who’s wallet is sticking out of her purse. • A woman who leaves her purse or wallet in a shopping cart. • A purse or bag left in an unlocked car. • A woman who has set their purse or wallet down on a table or counter. • Purses left in unattended offices or dressing rooms. • Purses and coats dangling on coat racks.